If one thing is clear, is that Rockstar’s latest GTA game has turned out to be a hit of epic proportions. It’s now passed the 80 million copies sold mark, after all, and was back at the number spot in the UK charts last June too. A big part of the game’s massive success has to do with the popularity of GTA online, the game’s online multiplayer component which is played by millions worldwide, and has turned into a cash cow for Rockstar. So much so, that a few pundits are suggesting the US video game company will emphasize the multiplayer over the single player experience in their highly-anticipated Red Dead Redemption 2 game. Single player GTA V still has its charms, though, and has been made way better over the years thanks to the plethora of user mods that have been released for Rockstar’s open world game over the years. Examples of these are Dragons V, which adds the winged beasts to the game and lets them wreak havoc in Los Santos. Another is the interesting GTA RPG, which profoundly changes Rockstar’s game to make it play like an RPG, adding character customisation and dialogue trees amongst other things. There have been a few controversial ones too, such as one which made fun of Samsung’s troubles with the ill-fated Galaxy Note 7 mobile. Many of these mods have been built with OpenIV, a set of tools that makes modders work easier, and allows them to come up with all sorts of interesting mods for GTA V which others can enjoy. But many were shocked when in early June Take-Two Interactive (Rockstar’s parent company) sent a cease and desist letter to the makers of OpenIV, claiming the tools could be used to make mods that had a negative impact on GTA Online. 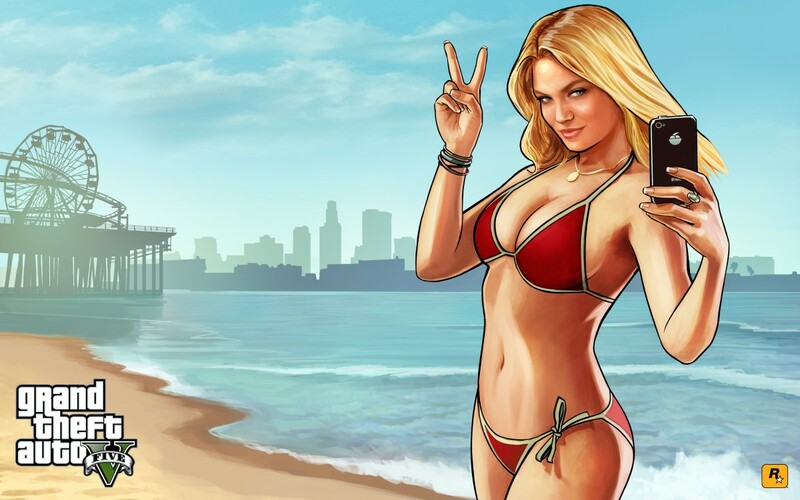 “Take-Two’s actions were not specifically targeting single player mods. Unfortunately, OpenIV enables recent malicious mods that allow harassment of players and interfere with the GTA Online experience for everybody. We are working to figure out how we can continue to support the creative community without negatively impacting our players”, said Rockstar. Suffice to say, the creators of OpenIV were in disbelief at this, given their tools have been designed to make single player mods only and leave the multiplayer side of the game alone. “GTA modding had long and glorious history”, wrote the people behind OpenIV in a statement, adding that “for almost ten years of OpenIV development, we had tried to play as nice as possible and even more“. However, despite being strongly opposed to Take-Two’s actions, the OpenIV team ended up waiving the white flag, and declaring the cause lost. “Going to court will take at least few months of our time and huge amount of efforts, and, at best, we’ll get absolutely nothing. Spending time just to restore status quo is really unproductive, and all the money in the world can’t compensate the loss of time. So, we decided to agree with their claims and we’re stopping distribution of OpenIV”, continued their statement. And this sadly seemed to be the last nail in the coffin for GTA V modding, something that had brought so much joy and entertainment both to mod builders and those who got to play their creations. Thanks to Take-Two’s and Rockstar’s change of policy, we can still enjoy mods such as this one on PC. This also led to quite a bit of resentment in the PC GTA community, with many users setting their sights on Rockstar for what they considered to be a very heavy-handed action. Actually, it did not take long for angry users to flood the Steam digital distribution platform with thousands of negative reviews, bringing GTA V’s aggregate score down to the 60s and leading to quite a bit of negative PR for Rockstar. This was all tied to a petition on Change.org urging Rockstar to let the OpenIV project continue, stating that this software “was never used to mod multiplayer or Grand Theft Auto Online so it does not harm anyone”. The angry user reaction did end up having an effect in the end, and eventually Rockstar and Take-Two yielded to fan pressure and finally changed their policy regarding OpenIV. So this means that OpenIV, the software that powers so many GTA V mods for PC, will keep moving forward after all. “Rockstar Games believes in reasonable fan creativity, and, in particular, wants creators to showcase their passion for our games. After discussions with Take-Two, Take-Two has agreed that it generally will not take legal action against third-party projects involving Rockstar’s PC games that are single-player, non-commercial, and respect the intellectual property (IP) rights of third parties”, wrote the company in a statement.